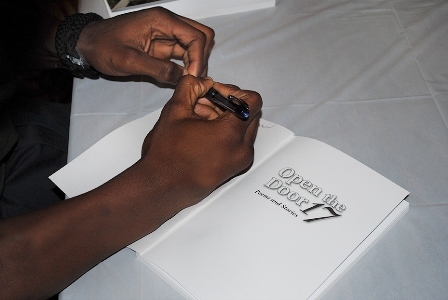 A student writer signs a copy of Open the Door 17. 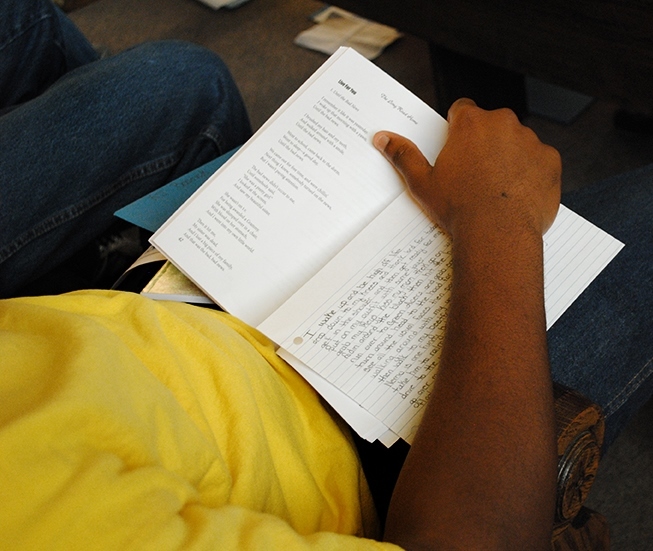 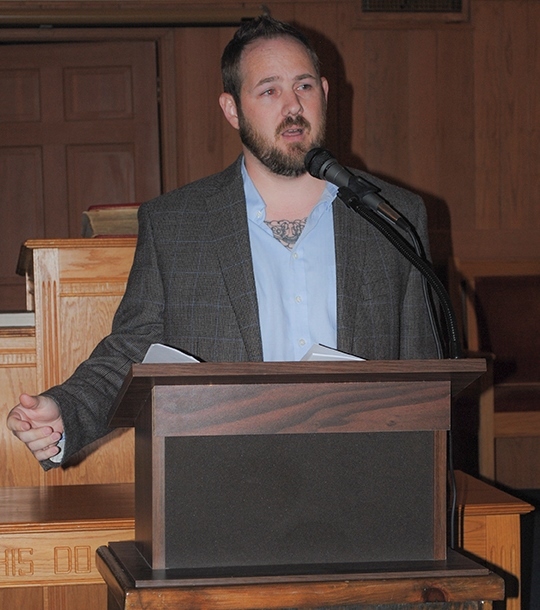 A week later, an invited audience gathered in the Chapel of the DYS Vacca Campus to celebrate the release of The Long Road Home, the new anthology of poems and short fiction. 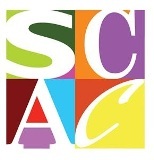 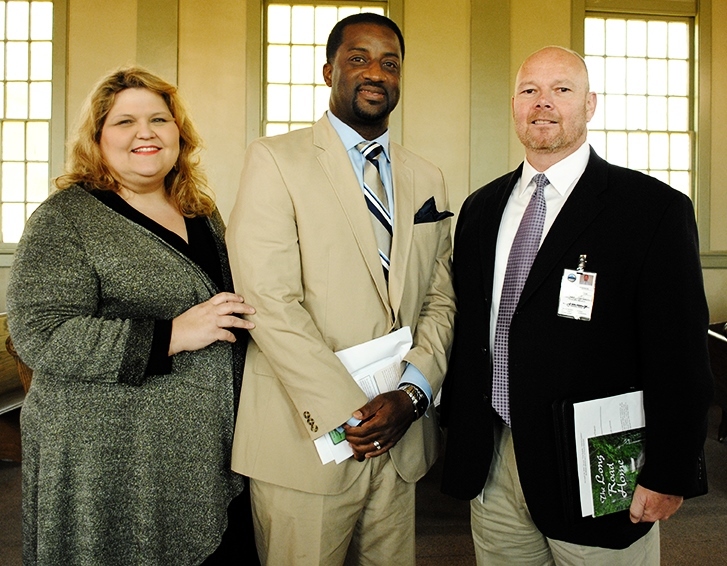 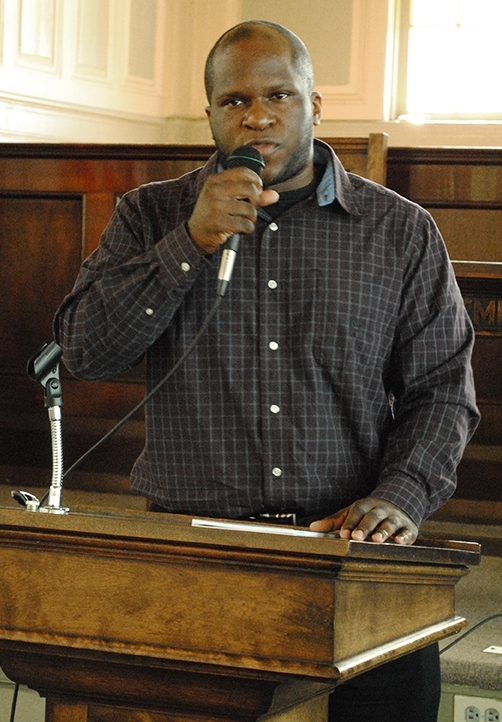 Jason McCall, one of two 2015 Alabama State Council on the Arts (ASCA) Fellowship recipients in literature, delivered the keynote address. 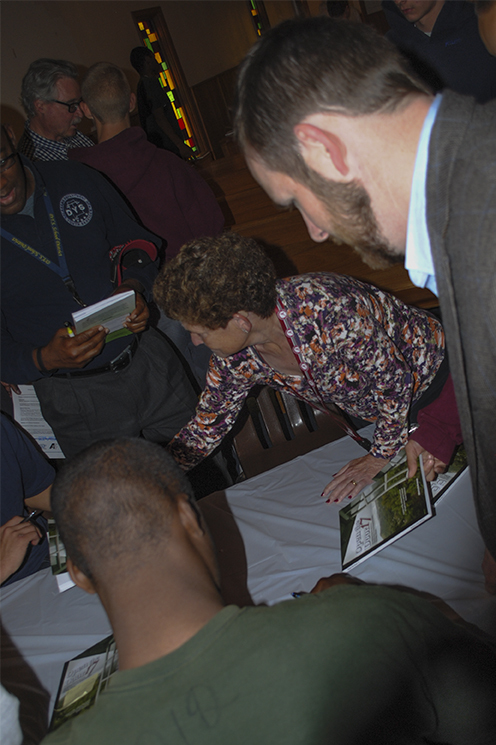 Stephen Bray has his book signed. 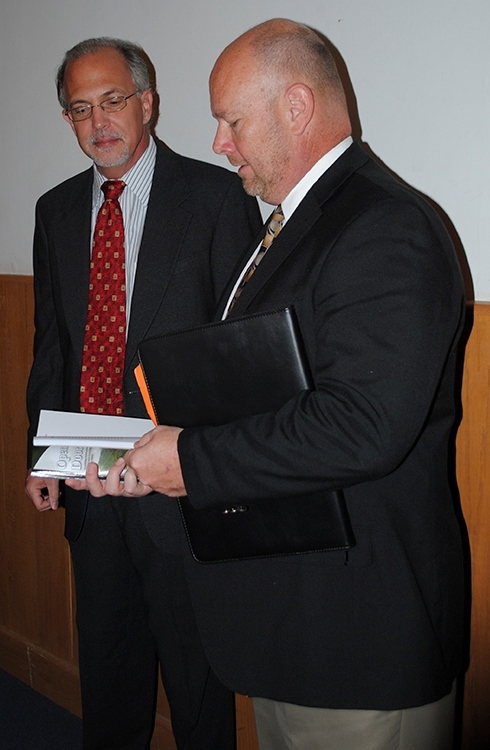 Marlin “Bart” Barton and Steven P. Lafreniere admire the new anthology. 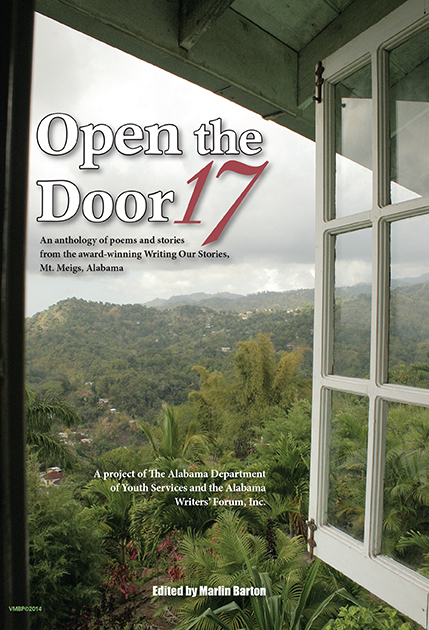 Open the Door 17, edited by Marlin “Bart” Barton. 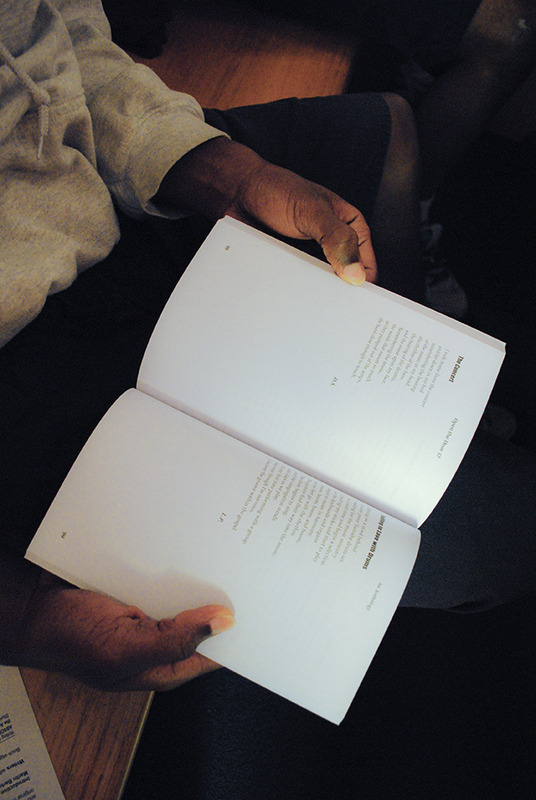 Cover photo by Belle Prosser. 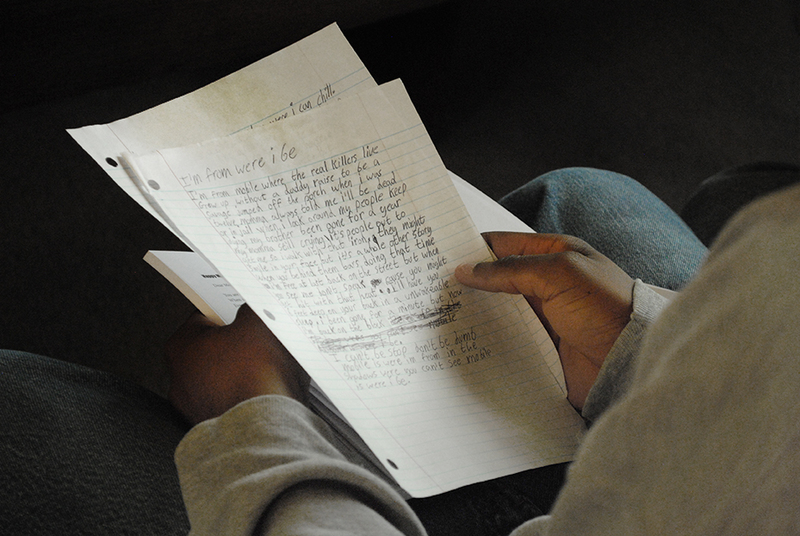 A student writer waits his turn. 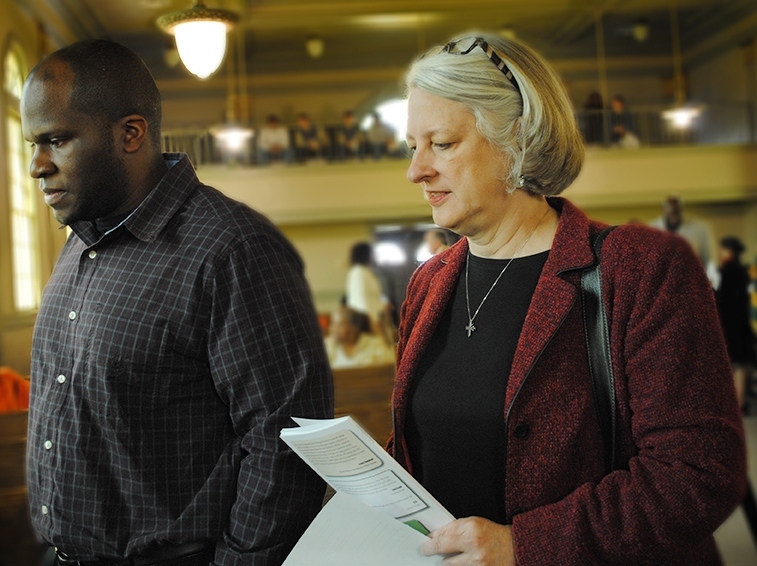 Jason McCall and Anne Kimzey queue up. 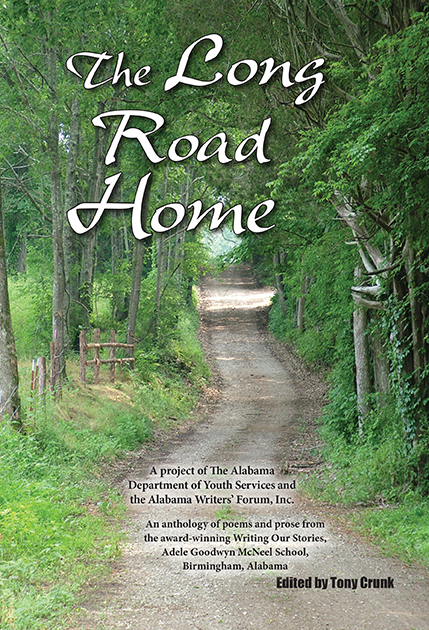 The Long Road Home, edited by Tony Crunk.